This statistic shows the population of England in 2017, by region. 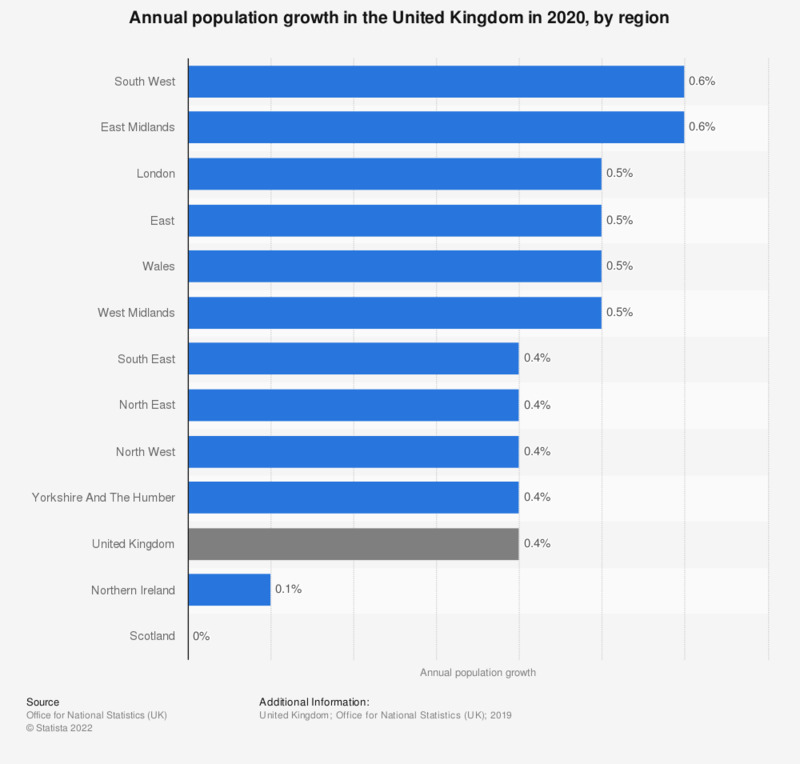 The region with the highest population was the South East at approximately 9 million people, the North East had the lowest population at 2.64 million inhabitants. Within the UK, England has the highest population of the four countries that compose the United Kingdom at over 55 million people, compared with Scotland (5.42 million) Wales (3.13 million) and Northern Ireland (1.87 million people) which have comparatively small populations. With 8.83 million people living there, London is one of the most heavily population regions of the UK. Other large urban areas in the UK, include West Midlands urban area, centered around the city of Birmingham at 2.9 million people, along with Greater Manchester (2.8 million) and West Yorkshire (2.3 million).